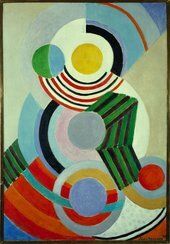 Sonia Delaunay (1885–1979) was a key figure in the Parisian avant-garde and became the European doyenne of abstract art. 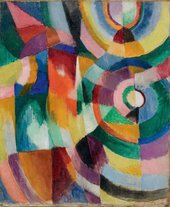 Throughout the first half of the twentieth century, she celebrated the modern world of movement, technology and urban life, exploring new ideas about colour theory together with her husband Robert Delaunay. This is the first UK retrospective to assess the breadth of her vibrant artistic practice across a wide range of media. It features the groundbreaking paintings, textiles and clothes she made across a sixty-year career, as well as the results of her innovative collaborations with poets, choreographers and manufacturers, from Diaghilev to Liberty. 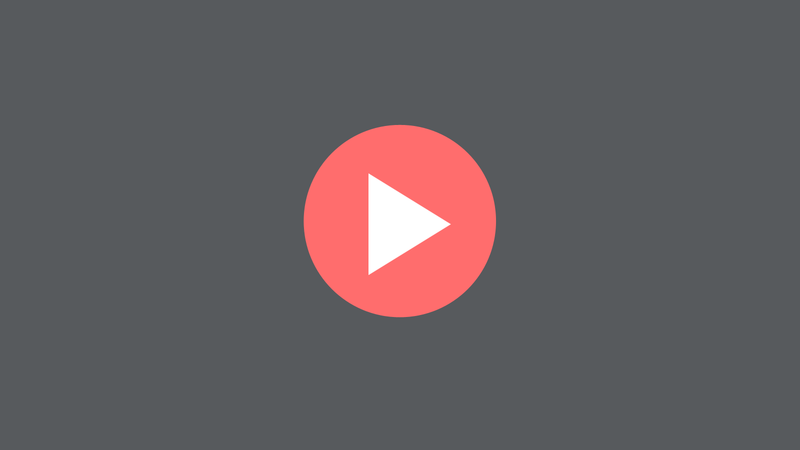 Make the most of your visit with the specially produced exhibition audio guide. 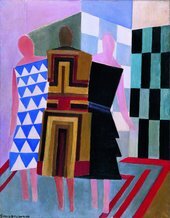 This accompaniment to the exhibition covers 26 key works, spanning painting, prints, textiles, fashion and interior design. Listen to Tate curators sharing their expert views on Delaunay’s work, get specialist insights into her textile-making and poetic collaborations and hear from the artist herself. Explore Tate Modern’s new exhibitions Marlene Dumas and The EY Exhibition: Sonia Delaunay at our Members-only private view.